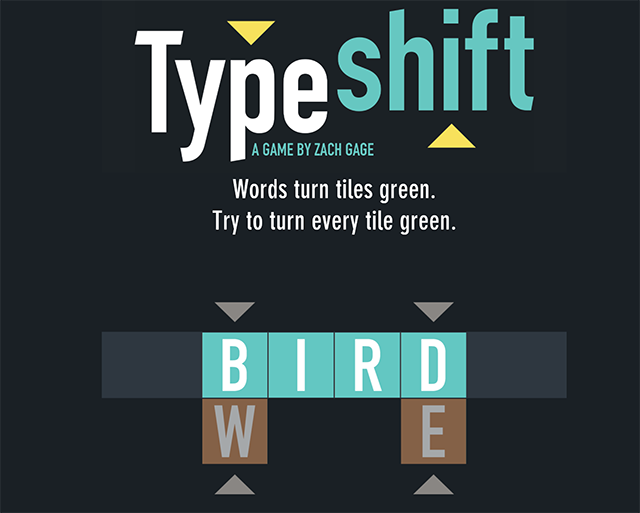 TypeShift is a new word game available on iOS. 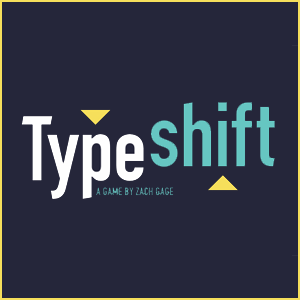 TypeShift is a fun new mobile game created by developer Zach Gage, of Ridiculous Fishing and Really Bad Chess fame. The rules of the game are simple — you need to rearrange the tiles on the screen in order to create words. It’s like a reverse crossword puzzle mixed with a word search. The words are already there, you just need to figure out how to order them so that they spell something that makes sense. It sounds more complicated than it is, and the rules of the game are easier to pick up once you start playing it. Or you can refer to the app’s homepage, which features a well-made “how-to” guide. 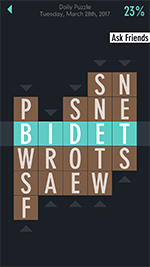 TypeShift, like a crossword, benefits from having a “daily puzzle.” This keeps the app’s most dedicated/addicted fans coming back on a regular basis, and presents a new challenge at a regular interval. Just like an online crossword, TypeShift also times how long it takes you to finish a particular puzzle. There are certain packs you can work your way through, but doing the daily puzzle is a good routine to get into. If you prefer not to download the app, which is available for free in the iOS store, you can also play a version of TypeShift online at Merriam-Webster’s site. No matter where you play Typeshift, it’s sure to be a fun, challenging time.